on 12 September 2016 . A recent article published in Power Magazine explains the continuing importance of Condition Assessments of HRSGs in optimising Operational and Capital Expenditure. See this link for more details. HRSG Tube Failure Guide, 3rd Ed. on 13 July 2016 . Pre-Publication Discount Available on HRSG Tube Failure Guide, 3rd Ed. The latest updated edition of Tetra Engineering's HRSG Tube Failure Diagnostic Guide will be published August 15, 2016. Thousands of combined cycle professionals are familiar with Tetra's HRSG Tube Failure Diagnostic Guide; first published during the 'bubble' in construction in the early 2000s. The latest edition includes additional material on waterside deposits, creep fatigue cracking, fireside corrosion and others. Many new photos and illustrations now make it easier to use. Each copy of the Guide is offered at $195 USD after August 15. The special pre-publication price is $165 USD. Inquire for volume discounts. Shipping is in addition to the per copy charge. on 11 July 2016 . Come see us at the PowerGen Asia conference in Seoul! Chief Engineer David Moelling of Tetra Engineering is presenting the Tetra/R&R Consult paper Root Cause Failure Analysis of Superheater Tubes Using Computational Fluid Dynamics Simulations at the PowerGen conference in Seoul on the 20th of September at 2PM. “As the electricity market has evolved with the addition of renewables to the generation mix, Heat Recovery Steam Generators (HRSG) that were originally designed for base load conditions are now frequently forced to operate in a cycling and/or low-load regime. This can lead to front end tube-to-header fatigue, creep or creep-fatigue failures, often induced by GT flow imbalances causing locally-elevated tube temperatures and/or bending stresses on joints due to large temperature differences between tube rows. This paper focuses on the use of Computational Fluid Dynamics (CFD) as a tool to analyze the root cause of Superheater tube failures. Exhaust gas flow profiles were analyzed for base load and low load conditions for a vertical Heat Recovery Steam Generator (HRSG). The plant suffered from tube failures that could be shown to be directly related to low-load (and start-up) exhaust gas flow patterns. The contribution of CFD to identifying these conditions that lead to the failures are presented and mechanisms to reduce future risk of failure, such as addition of flow-conditioning devices, are investigated and presented." More details about the Tetra presentation and the conference can be found here and here. 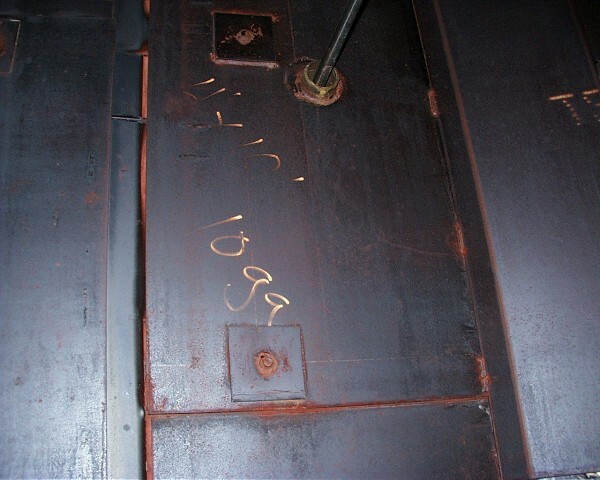 External corrosion, as the name implies, occurs on the exterior surface of steel components in the HRSG. It affects both pressure parts and structural elements and requires the presence of corrosive agents to drive the reaction with the metal. The most common agents are oxygen and water. When shutdown these are present in the air and when running are present as components in the gas stream. on 26 June 2016 . Tetra Engineering announces a series of targeted workshops to provide thermal and process plant O&M engineers, managers and operators with a working knowledge in several aspects of the boiler and steam process technology. Drawing on our field experience working at power and process plants throughout the world, the objective is to provide attendees with clear instruction on the operator actions and design issues that can impact reliability, efficiency and operating life. The programme comprises a set of focused, half-day training modules intended to leave attendees with a practical working knowledge on these issues. A number of outside experts will join Tetra's senior staff in delivering the workshops. The course syllabus can be found here. An engineering consultant needs to stay up to date in his knowledge and try to contribute to furthering that knowledge. Therefore, the staff engineers at Tetra don’t just work on commercial projects, they also take the time to do research and development on a variety of boiler and steam cycle engineering issues. This is actively encouraged by the company as it only increases the level of skill that our collaborators can bring to bear for solving a given client’s problem. An additional paper by Tetra collaborators Dave Moelling and Andreas Fabricius (and third co-author Jan Rusaas of R&R Consult) has been accepted for presentation at the upcoming Powergen Asia (Tuesday Sept 20th, see details here): Root Cause Failure Analysis of Superheater Tubes Using Computational Fluid Dynamics Simulations. HRSG Structures are exposed to weather, hot turbine exhaust gases, steam and water leaks and emissions control chemicals. Deadweight, wind, thermal and seismic stresses also are applied to the HRSG. These components are typically inspected on an opportunistic basis, for example during annual statutory inspections by the insurance company’s boiler inspector or during scheduled work on other major components such as the GT. Early HRSGs had frequent problems with the duct and casing/liners. HRSG OEMs have responded to these problems with improved rials, improved bolting patterns and related improvements to designs of other components such as duct burners that have been responsible for damage to liners in certain configurations. on 01 June 2016 . This seminar is primarily intended for O&M staff at all levels of experience working in combined cycle power plants, but should also be of interest to engineers and managers involved in new project development. The course gives attendees a comprehensive yet in-depth survey of a broad range of topics relating to the design, operation and maintenance of the HRSG and associated steam cycle systems. Drawing on our field experience working at power plants throughout the world, the objective is to provide attendees with clear instruction on the operator actions and design issues that impact HRSG reliability, efficiency and operating life. TETRA Engineering was engaged by a European client to perform a site works assessment at a Southeast Asian power plant construction site. Work had been delayed for months due to disagreements among two parties involved in the project regarding scope of work, responsibility and scheduling issues. Delays caused by one party in part of their scope of activity significantly delayed the other party’s progress in the project, causing a large financial loss and deterioration of equipment due to excessive exposure to elements. Analysis of deposits found in the HRSG is a common and very useful way for determining what is occurring on both the waterside and gas side. Waterside deposits found in the drum are analyzed to determine chemical and elemental composition. The presence of certain elements such as chlorine might indicate that there is or was a problem with contamination of the boiler water. Analysis of gas side deposits such as those found on the cold end tubes can identify the various compounds present and their disposition in the deposits. Excessive cold end deposition results when unit design does not match actual fuel characteristics or from mistuned process conditions. 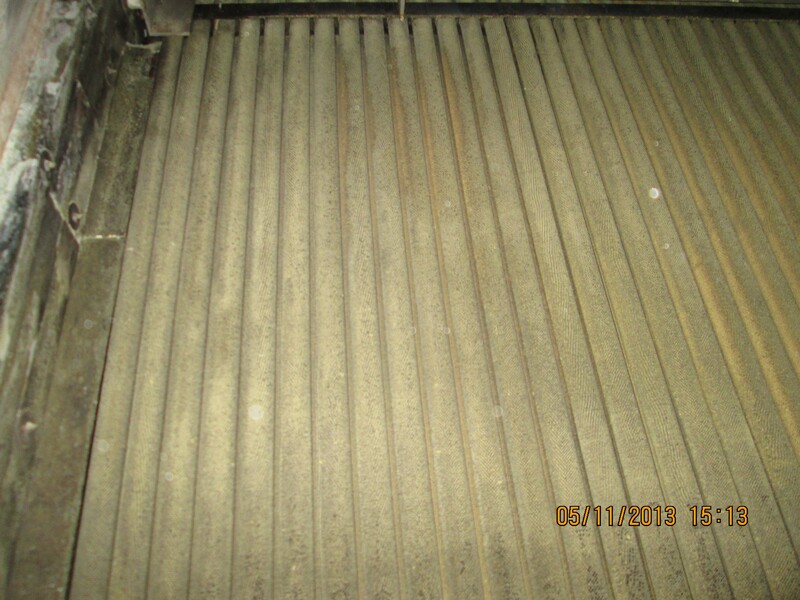 The deposits are often corrosive and can lead to premature tube failures as well as loss HRSG or boiler performance. on 02 May 2016 . The inspection of drums is a key element in determining the general condition of the waterside pressure boundary of the HRSG components and the quality of the water treatment program. They are a “window” on what the inside of the water-filled or steam and water-filled tubes and headers in the various pressure circuits (HP, IP or LP) might look like. Basic inspection is visual, yet often complemented by UT, and PT/MT examinations. One of the key items of interest is surface passivation. The HP drum should typically have a dark grey adherent surface layer, characteristic of magnetite, below the maximum waterline. Above the maximum water line there may be some light red coloration, indicating a mix of magnetite and hematite. Yet surface color can deceive, drums with “abnormal” color may simply reflect a specific water chemistry and process condition history. The experience of the inspector comes into play in these cases, to decide whether what is observed is indicative of a real problem or simply reflects a harmless difference. Figure 1 : Senior Engineer Mark Taylor from Tetra’s European office enjoying some quality Steam Drum time during a recent HRSG inspection campaign. on 06 January 2016 . Tetra Engineering has announced its schedule for HRSG & Combined Cycle training events in 2016. This year we will be hosting training courses in Utah and Connecticut, USA, as well as in France and a new event in Dubai, UAE. See our training page for more details. on 23 November 2015 . Responding to changes in the market, many combined cycle plants are seizing new opportunities by adapting their operation to run more flexibly and at lower loads than the original design intended. In a recent article in Power Magazine Tetra Engineers David Moelling, Peter Jackson and James Malloy outline some of the challenges that plants must face to ensure the long-term integrity of the steam cycle. Tetra Engineering supports plants across five continents in overcoming the engineering difficulties associated with flexible / low-load operation of HRSGs, Power Piping to the Steam Turbine or host processes, as well as the condenser. Our services include assessing the performance and degradation impact of flexible service which feeds into setting appropriate inspection intervals for different components and developing the associated inspection plans. See this short flyer for more information, or get in touch with your nearest office for details about how we can help you. on 01 October 2015 . Tetra Engineering provides services to assist Cement Plant Owners and Operators in implementing, maintaining and improving all types of Heat Recovery Systems. Our Heat Recovery Steam Generator and steam cycle services have been applied to Rotary Kiln Waste Heat recovery power generation systems. Whether addressing problems with fouling, or assessing plant modifications for performance improvements, contact Tetra to reduce your energy costs and increase reliability. See us PowerGen Middle East! Established in 1988, Tetra Engineering has more than 25 years experience providing solutions to the power industry. We specialize in solutions for HRSGs, conventional boilers & steam-cycle balance of plant. Offices in: Connecticut, USA; Nice, France; Dubai, UAE.